Gutter Helmet of Central Florida opened in April 2004 and covers all of central Florida. The owners Larry and Mary Rector have been involved with Gutter Helmet since 1986. After installing this product on many homes, we can attest to the quality and effectiveness of this patented gutter protection system. Gutter Helmet’s unique design keeps leaves and other debris from going into your gutter system and blocking the flow of rainwater to the downspout. Many homeowners aren’t aware of the problems that are caused when the rain isn’t directed away from their house. When clogs in the gutter cause water to spill over the sides, the ground around your home’s foundation can be eroded causing moisture problems in a basement or even flooding. Furthermore, rainwater spilling over the back of the gutter can cause the fascia board to rot, and mold and mildew to develop inside your home on the walls. 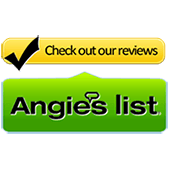 Gutter Helmet of Central Florida is a member of the Better Business Bureau, Angie’s List and Ask the Seal. 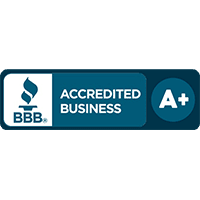 All of our employees are screened for drugs and have had a thorough background check. We do not use sub-contractors. Hours of operation are 8:00 to 5:00 Monday through Friday; however, our phones are answered after hours and seven days a week. 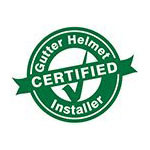 We are a full service company offering seamless six and seven inch gutters, downspouts and Gutter Helmet®. We also do pool enclosure gutters and some pool enclosure repairs. Contact us today to learn more about our services or to get a quote. Call (800) 824-3772 or fill out the online form here. We look forward to being your gutter specialist!